The unraveling of Peter King’s hearings on radical Islam. 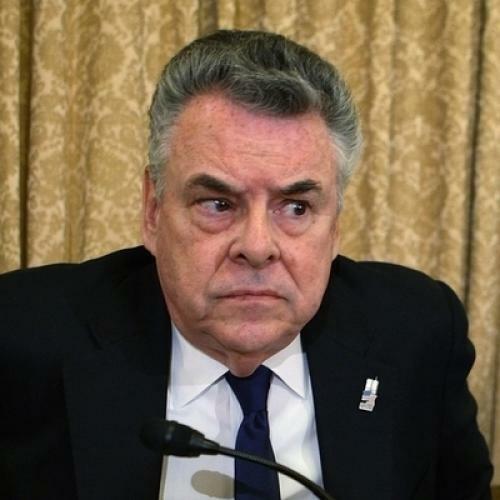 Everyone was expecting the Pete King hearings on Muslim radicalization to be the second coming of Joseph McCarthy. Yesterday, an hour before they began, a line already snaked around the third floor of the Cannon Office Building, as reporters queued to catch a glimpse of demagoguery. Dozens of cameras lit up the hallway, bulbs on or flashing; and the press seemed to far outnumber any protestors or concerned citizens on hand. As it turned out, though, while the hearings were certainly controversial, they were, in terms of substance, fundamentally anticlimactic. There were no bombshells from King, nor much in the way of revealing testimony, and there was certainly no drunken congressman reeling off names from a secret list of Communists. Instead, what we got was a debate about the legitimacy of the hearings themselves: Instead of Islam on trial, a trial on trial. The most dramatic moment came when Keith Ellison—the first Muslim elected to Congress—started crying, then nearly sobbing, as he testified and recounted the heartfelt story of a Muslim American first responder killed in the September 11 attacks, saying, “Mohammad Salman Hamdani was a fellow American who gave his life for other Americans.” Ellison implored the committee to stop assigning “collective blame” based on renegade individuals, which he said is at the “heart of stereotyping and scape-goating.” His fellow Democrats concurred, talking of the need to explore all homegrown threats, not just from the Muslim community. By this point, the Republicans had already lost. Long before they began, the hearings had been defined as a witch hunt, and the fact that the discussion revolved around their legitimacy deflated Republicans’ ability to set the agenda. As Representative Clarke of New York put it, “Today’s hearing has been great congressional theater … the equivalent of reality TV.” And many Republicans on the committee acted as if they were simply hoping to ride out the hearings without doing anything too disastrous. After more than four hours of chatter, King closed the hearing by saying, “Despite the consternation, this meeting actually went a lot easier than it could have.” He looked rather relieved. Tiffany Stanley is a reporter-researcher at The New Republic. Tiffany Stanley is a writer based in Washington, D.C. Her work has appeared in The Atlantic, Washingtonian, and The Daily Beast.